Today I took Alice to the Pumpkin Patch. There were thousands of pumpkins in all sizes and a petting zoo too. 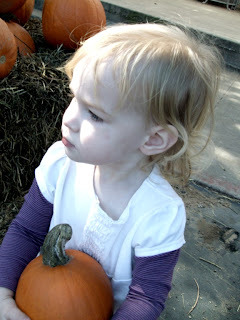 We walked around for about an hour and a half and Alice finally picked her pumpkin. 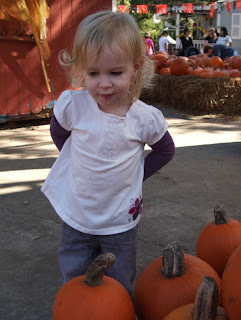 Alice liked the smaller pumpkins she was able to pick up. 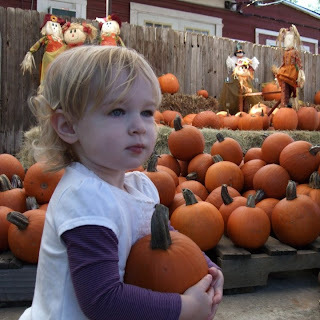 Juliette always picks the "baby" pumpkins too. She looks adorable as always!